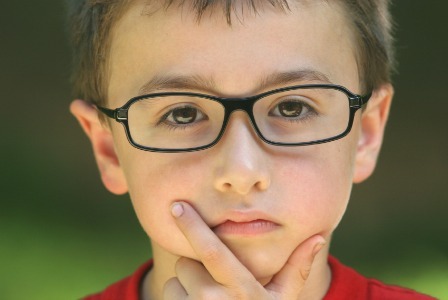 What if your kid had a high IQ but wasn’t very creative? Creative thinking is an important part of our lives, whether it be at school, work or hobbies. So what’s the reason behind the decline in creative thinking among young kids? Creative-thinking scores have been on the decline, even as IQ scores have edged up — especially in the kindergarten through third-grade crowd. What’s sapping our kids of their creative energy, and why does it matter? With all of the emphasis on test scores, grades and college acceptances, the parents of this generation of kids would appear to be focusing mostly on their children’s academic success. But a world full of strictly academic, linear thinkers would be devoid of art, music, literature and dance — let alone simple creative solutions to everyday problems we all face, whether personal or business related. So what’s up with our creativity, and where did it go? A new study published in Creativity Research Journal sheds light on this question. In the U.S., children are increasingly being taught how to get high scores on standardized tests, but they’re not necessarily being taught how to think creatively or solve a problem in a manner different from the way in which they’ve been taught to solve it. Creativity in written essays is often pushed aside when students are taught to stick to the standard five-paragraph, linear format. “With respect to writing, it’s hard not to focus on the way the educational system has changed over the last 20 years, particularly [due to] the advent of No Child Left Behind, which has really emphasized teaching to the test,” says Katie Davis, assistant professor at the Information School at the University of Washington, who studies the role digital media plays in the lives of young people, both academically and socially. Young students need to be able to not only learn basic classroom skills — such as memorization and linear thought — but also nurture the basic creative thinking that will help them solve all sorts of problems. How difficult is it to measure creativity? It turns out that although scientists have spent decades developing measurements for intelligence, scientists have yet to develop an accurate measure of creativity. The Torrance Tests of Creative Thinking (TTCT) are the closest thing to an IQ test for creativity that is currently available. Creativity is measured based on life experiences, not book or classroom learning. The Figural TTCT (thinking creatively with pictures) uses three exercises based on pictures to assess five characteristics — originality, elaboration, fluency, resistance to premature closure and abstractness of titles. This test is appropriate for ages 5 to adult. These measurements are often used to help identify creatively gifted young people and as part of gifted testing in multicultural settings, where there may be a language barrier. Researchers wanted to compare creativity by taking a look at art and creative writing. They used Teen Ink magazine, which features not only artwork but also creative writing and photography. They chose half of the pieces from the early ’90s and compared them to much more recent work. The pieces were analyzed by trained visual artists and rated on a variety of attributes. The more recent art — compared to that of 20 years ago — showed a level of detail that suggested a rise in creativity, such as off-center placement of subjects, digital manipulation and collage. Creative writing, however, showed a decline in creativity. The more recent stories (taken from a literary magazine from a creative arts school in New Orleans) tended to be less experimental in storyline and were more reality-based rather than imaginative. What can parents do to foster creativity in their children? Talk, talk, talk! Encourage mini-conversations based on anything and everything, whether at the dinner table or in the car. Ask lots of “What if?” questions to spark creative answers and solutions. Read books with an element of fantasy or whimsy and use these stories as starting points for stories of your children’s own. Role-play and bring imaginative play into your playtime. Act out characters from a favorite book or make up your own. Ask your child what the made-up characters would look like and sound like and how they would move. Encourage your child to write down her stories, even if she is just learning to write. Gather these short stories and bind them into a small book, which your child can then read anytime she wants. Nurture your own creative interests, whether you like to bake, write, draw, sculpt or make jewelry.